First up: the hair. 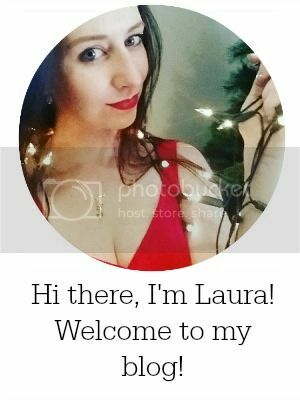 My hair is usually quite stubbornly straight with maybe a few waves that can be coaxed out, but I had set my heart on a perm-like look. 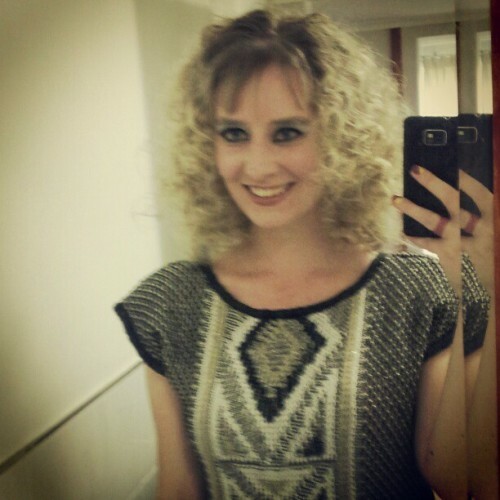 I was super impressed with how it turned out - these heat-free curls lasted all the way until my shower the next day. I based my technique on this tutorial - to get super tight ringlets, I had about 20 sections in total. I started with dry hair, dampened every section oh-so-slightly, then sprayed with Elnett hairspray top and bottom before twisting, twirling and pinning. Each pinned section then got a further spritz of hairspray. I let the whole thing set for about 5 hours before carefully undoing each section, separating with my fingers and then backcombing the roots to get some more volume. As far as makeup goes, I wore my usual face makeup, with a tad more blush than I would normally use. I used three tones of blue eyeshadow: a marine blue on the lids, navy in the crease and turquoise up to the brow bone. I used a kohl pencil to softly frame the eyeshadow with a gentle wing, as well as to define the waterline. I lined my upper lids with black liquid liner and wore false lashes with two coats of black mascara. I wore two lipsticks: a pink-brown with the first outfit, and a bright pink with the second. 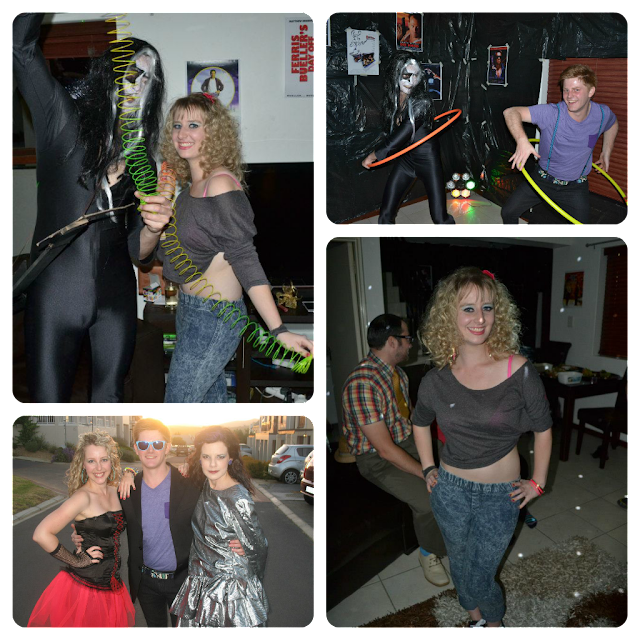 Yes, I had two outfits (which was key to my success in winning Best Dressed Dudette :-P ). The first centered around this gorgeous black and gold vintage knitted top (which was my mom's in the 80s). I paired it with some metallic pewter leggings (yes, I have some crazy things in my wardrobe! ), black heels, large silver hooped earrings and plenty of black, gold and silver bracelets. 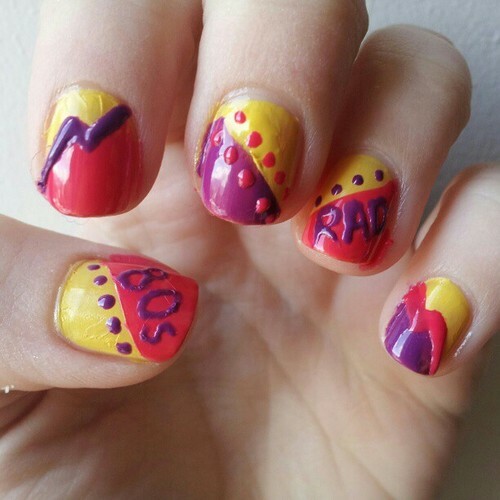 PS: I also did some 80s inspired nailart. I added some comic book-style black outlines later but forgot to snap a pic. 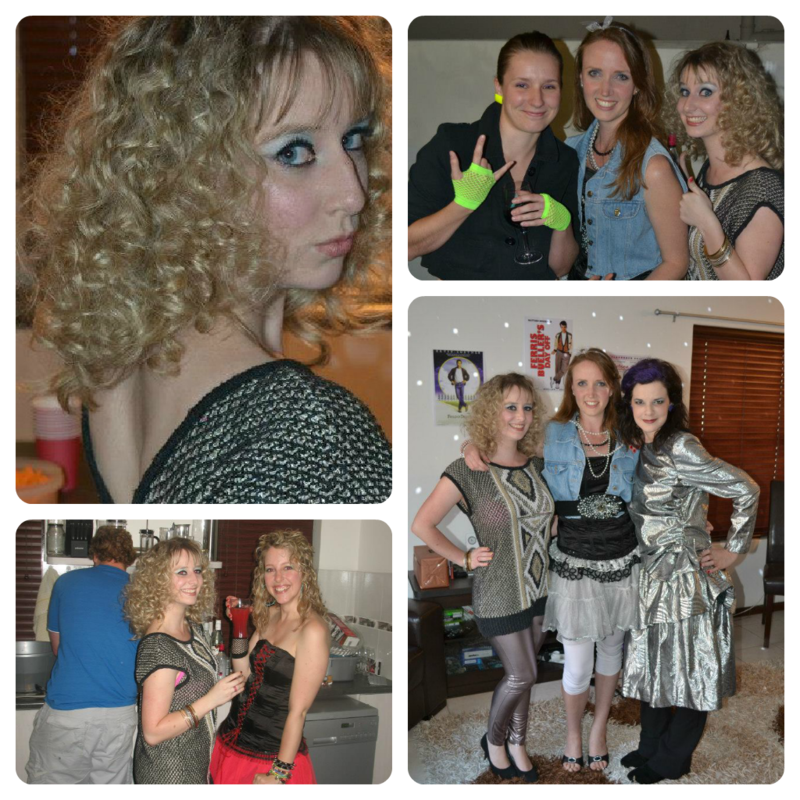 PPS: So, in the new year, 90s party anyone?